The 'Gone With the Wind' feel was lovely, and though I enjoy fiction full of historical detail, I felt a bit lost on understanding the brickmaking process as it didn't flow smoothly into the story at times. You can tell Judith did extensive research on the subject, and I can imagine how difficult it must be to pick and choose what to share in a book without it becoming overwhelming. Kudos for the effort! I really liked Laura. She was very knowledgeable in her family's business, but she wasn't disrespectful or pushy. I liked Ewan, too. He was a hard worker, and you couldn't help but sympathize with him over his relationship with his Uncle. Oh, and Uncle Hugh... there's always a character like him, in real life or not! Someone who feels entitled to greatness – but expects everyone else to get him there. Although, I think Judith's conclusion of Uncle Hugh was very satisfying! The Lord changes us when we let Him! 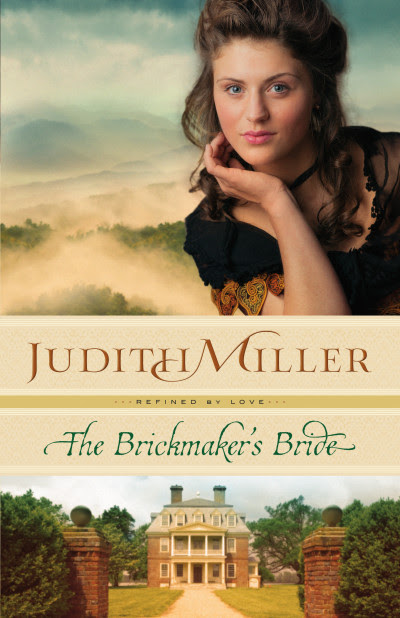 The story did drag at times for me (mostly the detailed brick descriptions), but overall, another historical by Judith Miller that I enjoyed reading! Thank you to Judith and Bethany House through Litfuse for sending me a copy to read and review!